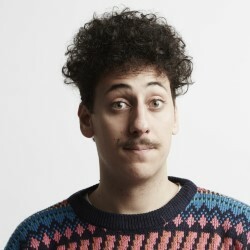 Fresh from opening for Trevor Noah, two time SA Comic’s Choice Award winner Schalk Bezuidenhout’s show shares his journey to his current status as one of South Africa’s best and most exciting young comedians. His mustache alone will have you on the floor. ‘His unique material and delivery allow him to stand out in a sea of stand-up comedians’ (Helen Herimbi). It’s Schalk’s first time doing a one-man show in Edinburgh and the Rand to the Pound value is weaker than a new born panda, so please be nice.